So you all know I love makeup, but in order for it to look as good as possible, you have to give your skin some TLC as well. 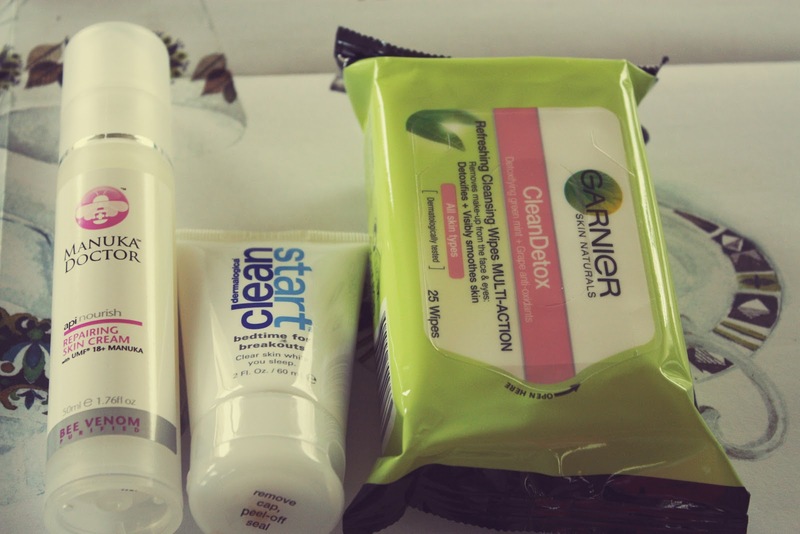 Here are the products I use regularly to help keep my skin hydrated & scar free. Note that this is not a full skincare routine. There are steps & products which I do leave out because I don't have them currently, but there'll be more about that in the second part of this post later this week. I'll also put links to online stores & stockists for these products down below. Some of my beauty essentials. 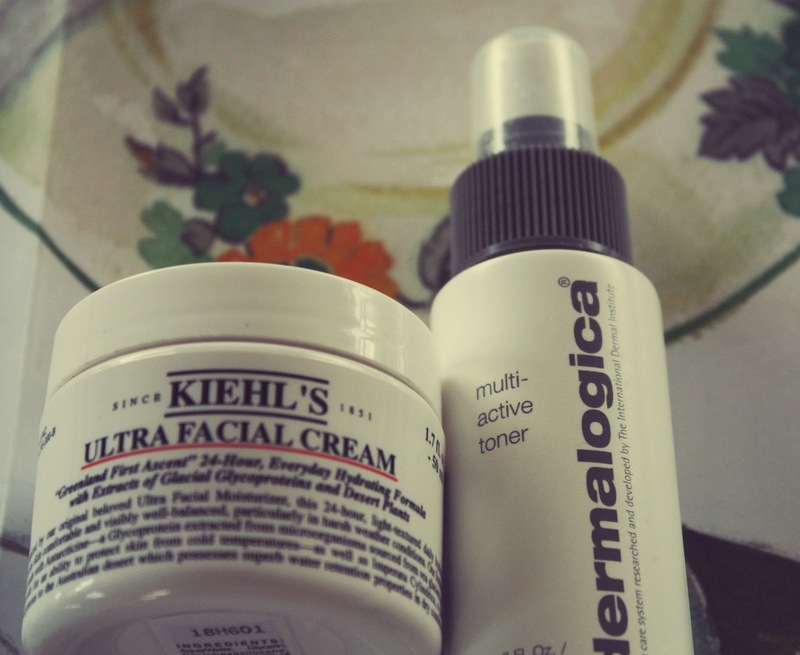 -Kiehl's Ultra Facial Cream, $54 for 30mL. This cream is super moisturising & combats dry skin. I use it twice daily but if your skin isn't prone to dryness you could get away with one application per day. This product was in my August Favourites post so if you want to read more about it you can there. -Dermalogica Multi-Active Toner, $25 for 50 mL. This is a facial spritz which refreshes & hydrates the skin. It contains a blend of arnica, balm mint & lavender. This spray is great to use straight after showering, to refresh the skin during the day & throughout long haul flights. I highly recommend this. -Manuka Doctor Skin Repair Cream, gifted. This product is halfway between a cream & a gel for me, in terms of the texture & thickness. It contains purified bee venom & nutrients that accelerate skin regeneration. I use this on my acne scarring & it helps reduce that. I'll do a full review of this in a month or so though when I've had a chance to trial it properly. -Dermalogica Bedtime For Breakouts, $45 for 60 mL. Yes, my newly adult skin still (sadly) breaks out from time to time. Supermarket acne creams do nothing for my skin so after seeing NZ beauty vlogger Shaaanxo raving about this I had to try it. This product contains salicylic acid & the formulation isn't too thick so it doesn't feel like your pores are being clogged. It works great as well! -Garnier Clean Detox Refreshing Cleansing Wipes, $9.99. These are the best makeup wipes I've tried & easily remove all my makeup whilst still managing to leave my skin feeling smooth & hydrated. The only fault with these is that they come in a pack of 25 & therefore don't last me a very long time at all. 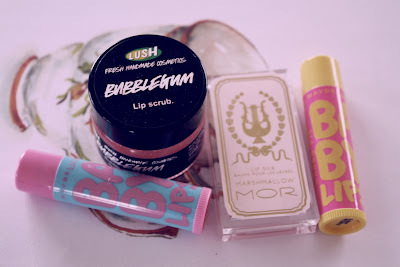 -Lush Lip Scrub in Bubblegum, $12.20. I'm pretty sure that I've written about this scrub previously but it works fantastically alongside Baby Lips. It also smells & tastes amazing too (Yes, you can eat it). -MOR Cosmetics Marshmallow Lip Silk, gifted. This lip silk is not tacky like similar products & it smells like marshmallows on the lips. I usually wear it on its own when I cannot be bothered with lipstick or gloss. -MOR Cosmetics Hand Cream in Lychee Flower, $15. This hand cream smells amazing, isn't too thick or greasy & doesn't dry out the hands too much. -Dadi Oil, gifted. The ultimate nail strengthener, hydrator & lengthener, some of us dub it 'liquid gold'. Read more about it in my August Favourites. I do not have perfect skin. 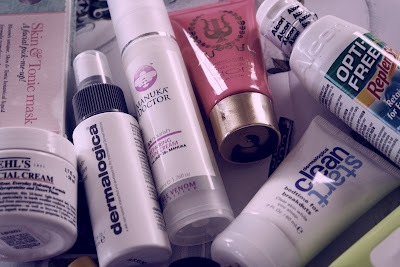 These products do leave my skin looking far better than it has in years though. My skin type (now) is normal to dry skin with occasional oiliness & breakouts. Therefore some of these products won't be suitable for everybody. Also note this post is in no way sponsored & I use these products because they're the ones I like & work the most effectively for me. -Kiehl's is stocked at both Smith & Caughey's Newmarket & Queen Street. -Dermalogica is also stocked at Smith & Caughey's Queen Street, various pharmacies & online here. -Manuka Doctor is available here. -Garnier can be found at Countdown & other leading supermarkets & pharmacies. -Maybelline is stocked at local supermarkets & pharmacies. 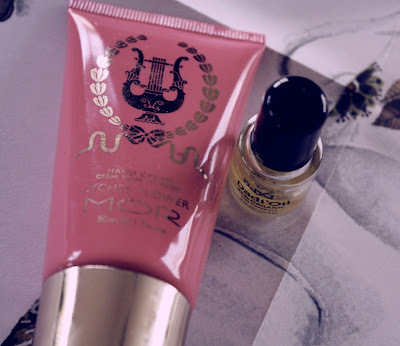 -MOR Cosmetics can be found at Smith & Caugheys, Redcurrent or online here. -Lush have stores in Newmarket & on Queen St as well as online here.